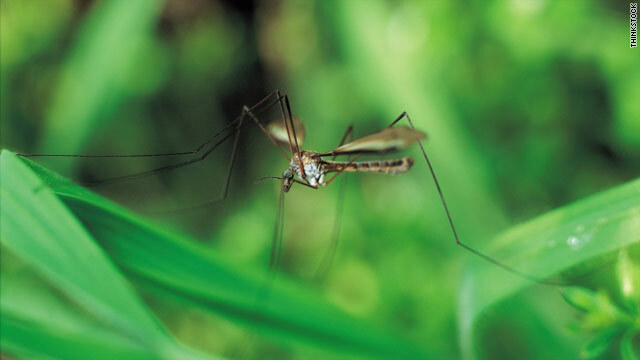 Dengue fever, common in tropical and subtropical areas of the world that are home to more than a third of the world's population, has been a rarity in the United States - until a couple of years ago. But in 2009, dengue infection appeared in a few Florida residents who had not traveled out of the U.S., ending a 45-year absence from the United States, according to the CDC. The number of U.S. hospitalized cases of dengue infection more than tripled between 2000 and 2007, according to a study published Wednesday in the April issue of Emerging Infectious Diseases. After reemerging in Florida, dengue was placed on the U.S. list of "reportable diseases" in January 2010, requiring laboratories and heath care providers to report all U.S. cases of dengue to the CDC. The reporting system allows public health officials to monitor the U.S. incidence of dengue, which, the report says has been described as a potential public health threat for residents of the U.S. mainland, noting that the vector mosquitoes have spread to at least 26 states in the U.S. mainland. Dengue fever is one of four closely related viruses that are spread to humans by infected mosquitoes. Symptoms of dengue fever include high fever, severe headache, severe pain behind the eyes, joint pain, muscle and bone pain, rash and mild bleeding of the nose or gums, as well as easy bruising. Dengue hemorrhagic fever is a severe form of infection that can be fatal if it's not quickly diagnosed and treated. However, when properly recognized and treated, death due to the virus can be less than 1%. The only way to prevent dengue is by controlling mosquitoes and preventing their bites. Researchers from the University of Iowa analyzed U.S. trends in dengue diagnosis among hospitalized patients using data from the National Inpatient Sample, a database of hospital discharges in the U.S. From 2000 to 2007, 1250 patients were hospitalized with dengue fever. The number of dengue hospitalizations rose from 81 cases in 2000, to 299 cases in 2007– results that show hospitalizations more than tripled during the study period. The study notes that the increase is not surprising because the number of dengue cases in areas where it is commonly found have increased in recent years, and also because of the large number of travelers who enter the U.S. from tropical and subtropical regions. Given the documented increases, researchers concluded that requiring the reporting of dengue was warranted and that continued vigilance is needed.The World Health Organization calls dengue a major international public health concern that places 2.5 billion people–two-fifths of the world's population, at risk. There may be 50 million dengue infections worldwide each year, according to WHO data. I believe the photo is of a crane fly (Tipulidae), which (as far as I know) are not vectors of dengue virus, and not a photo of a mosquito. It looks just like the mosquitos in my area. I have had dengue, and this report does not explain how badly and for how long that you are affected in one way shape or form. How this affects your ability to work, to function, or how dangerous one of the strains is. I think that the next report needs to detail what this threat really means, particularly to populations who never experienced this kind of illness, and who don't know that one of the strains (hemoragic) can kill you. It also doesn't discuss how the population should protect itself through dumping standing water, ensuring there are no vehicles that would allow water to stand, spraying etc. The report only works for those who understand what they're dealing with which in my estimation in the US is about 1% in the areas that can be most affected if that. This is illegals. This is Obama. Yes of course it's Obama, he brought the mosquitoes with him from Kenya! If this is a southern problem, the northern die-off of bats might not affect it, but, watch out for all mosquito-borne viruses this summer. That includes West Nile virus and other mosquito diseases too: bats eat zillions of mosquitos, but millions of bats have died suddenly. I've heard that the mosquito for dengue is spreading. We need to clean airplanes more; I could understand somebody catching a cold someplace else, but a foreign insect must be brought here. I had a friend who caught this while traveling to another country, and was very very sick for a couple of weeks. If this affects 50 million people a year, and can be fatal, why isn't there a vaccine? Remember, buy mosquito netting, and use it. Throw away trash, and convince your community to get rid of litter. Get rid of old tires. Put covers on unused pools. If you have a stream or pond, make sure there are insect-loving fish (even goldfish) or frogs. Mosquito larva can develop very quickly, and then you have a massive problem. Many people are allergic to mosquito bites even if they are disease-free, and many people have skin problems (see the diabetes article) where their skin gets infected easily if scratched, so it is safest to keep everybody healthy by preventing mosquitos. welcome to climate change. As the heat moves north, all the critters and 'fun' come with them. Pine bark beetles are moving as well. I wonder if the Republican's anti-science votes can protect us from dengue? The US government (Army) has released dengue fever infested mosquitoes in Florida in several locations over several years. It's all in the public domain, now; just look it up. Just like the lies they told about testing with biological weapons, chemical weapons, and such since WWI. MacDill AFB in Tampa just celebrated its 70th anniversary. Whoopdeddoodoo. How about them coming clean about the mustard gas testing they did on soldiers there during WWII? They advertised about having the cutting edge hospital for "treating TB"... lying liars... they were testing mustard gas on their soldiers and needed the hospital to treat the men they'd just poisoned. Look it up... it's there. THE US GOVERNMENT AND ITS ARMIES HAVE DONE SHAMEFUL, HARMFUL, TERRIBLE THINGS TO INNOCENT CITIZENS AND COVERED IT UP FOR YEARS... WHAT MAKES YOU THINK THEY"VE CHANGED THEIR WAYS??? LOOK HOW THEY ARE TREATING THE VETERANS WHO WERE ALSO FORCED TO BE POISONED AND THEN DIDN"T TREAT THEM? ASK A VET!!! The USA is in a morass of financial ruin and yet the Pentagon will be funded regardless of what else happens. THIS IS NO COINCIDENCE. Wake up, AMERICANS! I am NOT some paranoid delusional! LOOK IT UP! Bill Gates has said he was experimenting with dengue fever to see if it would work for vacinations, he sent a whole load of infected Mosquitos to the Cayman Islands and they went to Florida instead, a lot of people got sick. This year he said he was sending some more mosquitoes koaded with a vacine to kill dnghue fever and he hoped they would mate with the sick mosquitoes. I don't know if he did it or not. He was also talking about depopulation, he thought vacinations were a good idea and so was forced abortion. I would like to know how someone like Bill Gates , who has no medical or scientific qualifications at all, can just hire labs to do this, who gives them this authority? Why are people at the mercy of a bunch of wealthy elite crackpots who think they can run the world and decide who lives or dies and why do they have any following at all? Until we find that out we are at the mercy of people who think they are God. If anyone thinks this is bad, wait until these freaks open up all of our borders and let the diseases flow in with the legal trespassers, we already have10 or 12 leperosy hospitals in this country now, what next? who is sitting next to your kid in school, get out the mosquiito repellant too, Bill Gates has a vision. So do I.